Anatomy as storytelling. They say the best way to teach anatomy is not through rote memorization, but stories of function and inter-relatedness. 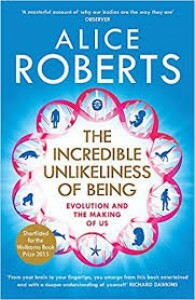 Roberts tells two main stories here: the development of an embryo in the womb, from a single cell to something recognizably human at 8 weeks, and the story of the evolution of the human species. The stories are clearly linked because as our bodies develop, they look an awful lot like the development of animals we're related to, way back when. There were moments in this book when I thought something along the lines of "okay, legs, not much to say about legs, is there? this will be short..." and then "well, this is a stretch, she's saying way too much about legs" and then "wow, this is incredible -- the development of bipedalism is really not as clear as I thought..." The last part of the book on limbs is much more evolution-heavy (not much to say about the embryonic development here, it's true), but there's still a fascinating story to tell. 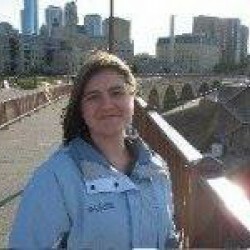 And she's able to use her experience in the field to put the information into context. It makes for a really interesting, engaging read that is surprisingly hard to put down. Even though there's too much discussion of cramming a baby head down a birth canal for my taste.